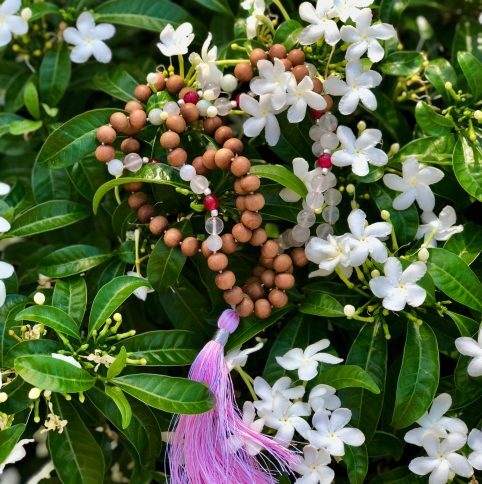 My first mala was gifted to me by my yoga teacher, a simple string of 108 sandalwood beads brought back from India years earlier, but which she has since said was always meant for me. Whilst it represented a practical lesson in meditation, it touched me much more profoundly on a personal level. The scent and feel of the sandalwood was calming and evocative of India and (having been fascinated by India since I was a very young child) I found it intriguing and energising. It became my daily meditation tool and a talisman. My teacher suggested that I personalise my mala by adding a pendant or ‘Guru bead’ and I decided to add some rose quartz. 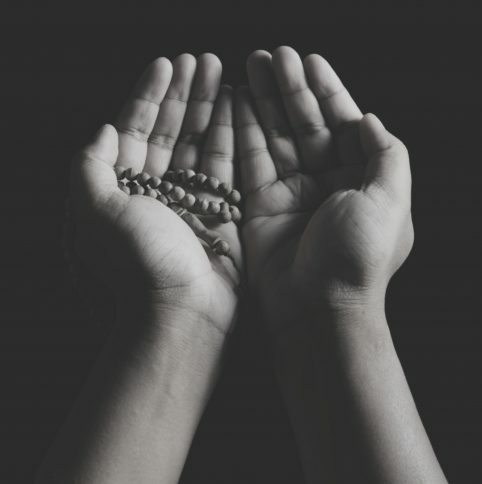 This made my mala more beautiful and meaningful to me, but it was something I later realised wasn’t easy to buy in Europe. I already enjoyed making jewellery so the progression to creating malas was natural. Keen to learn more I found my way to Rishikesh, India, the birth place of yoga and ultimately Stardust Malas. Stardust Malas exist because they did not when I looked for them. For me, a mala should be beautiful, meaningful and REAL. These malas are just that, designed to be beautiful, healing and hand made according to tradition from quality materials in India. It is important to me that the stones, beads and seeds are sourced in India for several reasons: Because it guarantees a certain standard of quality, and because the malas are to be used for meditation the components should be sourced ethically and traditionally made. The gemstones used are naturally occurring stones, cut by hand not machine. Nothing is cheaply sourced or mass produced as so many products are today, to the detriment of India’s economy and culture. Stardust malas are the ever evolving lovechild of my travels, learning, yoga, meditation, friendships, and adventure. 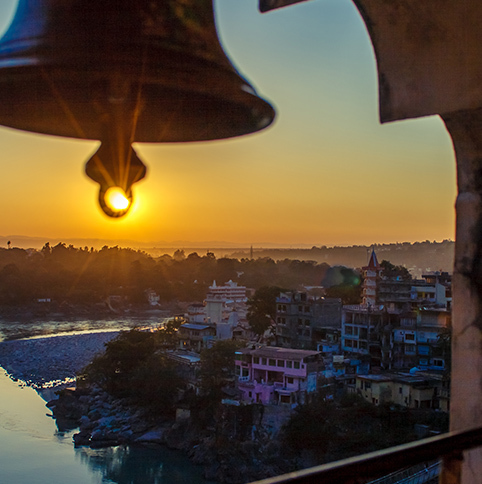 On the banks of the holy river Ganges and nestled in the foothills of the Himalayas, Rishikesh is known as the ‘Yoga Capital of the World’. The name means Lord of the senses and meditating here is said to bring you closer to the attainment of moksha. Rishikesh is one of my favourite places on earth. Overflowing with positive energy, home to great yogis and sages, and surrounded by the lush forested Himalayas. It is why Stardust malas were conceived and created here and why I want to give back to its community.